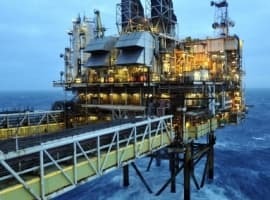 Back on December 15, two weeks ahead of the day the OPEC production cut agreement was set to begin, according to which some 1.2 million barrels per day in oil production from OPEC member states would be removed, a report emerged that contrary to its mandated production cut of 210Kbpd, Iraq was actually preparing to boost its exports by 7%. 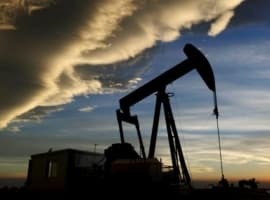 As the WSJ first reported, instead of cutting its crude production by 4% as it "promised" it would do in the Vienna November 30 meeting, Iraq instead planned to increase crude-oil exports in January, according to government records, immediately raising questions about its commitment to the OPEC’s landmark production agreement. Iraq’s national oil company, the State Organization for Marketing of Oil, or SOMO, had plans as of December 8, nine days after agreeing to cut production, to instead increase deliveries of its Basra oil grades by about 7% compared with October levels, according to a detailed oil-shipment program viewed by The Wall Street Journal. Those oil shipments represent about 85% of Iraq’s exports. And while that story quietly disappeared, and was promptly replaced with the more optimistic narrative of OPEC production cut compliance by Kuwait, which as noted earlier today reportedly cut output by 130,000 barrels a day to about 2.75 million a day, while Oman was said to cut 45,000 barrels a day from 1.01 million, it appears that the Iraq overproduction "issue" isn't going away; it does, however, have an interesting narrative to go with it. As Reuters reports, while Iraq's Prime Minister Haider al-Abadi refused to indicate if his country had cut production in compliance with the Vienna deal, he did accuse the autonomous Kurdish region of exporting more than its allocated share of oil "as the country seeks to comply with an OPEC output cut." "The region is exporting more than its share, more than the 17 percent stated in the budget,” Abadi said. Oil exports from the Kurdish region have long been a point of contention with Baghdad, which claims sole authority over sales of all the country's crude, however which is unable to implement caps on Kurdish production, in effect having to deal with a "rogue, non-OPEC" producer within its borders. 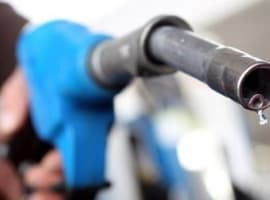 Meanwhile, Kurdish regional authorities have yet to publish oil export figures for December, but the Ministry of Natural resources said it had pumped an average of 587,646 bpd to Turkey's Ceyhan port in November. This is a problem because under the terms of the 2017 budget, which passed despite a boycott from a key Kurdish party, the autonomous region is allocated 250,000 bpd exports from oilfields under its control. That does not include the disputed Kirkuk fields, which Kurdish forces control but are run by Iraq's North Oil Company (NOC). The Kurds built their own oil pipeline to Turkey and began exporting oil via Turkey without Baghdad's approval in 2013; in 2015, when allegations emerged that Turkey was paying the Islamic State for its (very cheap) oil, the country deflected by saying it was only paying for Kurdish oil. If Iraq's allegations are accurate, it would mean that instead of pumping 250Kbps, the Kurds are pumping more than double that amount, and more than offsetting the alleged reduction by Kuwait and Oman. Furthermore, even if Iraq is fabricating the data, it suggests that Iraq will likely not comply with the OPEC production quotas as long as it has the Kurds as a handy scapegoat on which to blame overproduction. Good luck to OPEC to find who the real culprit is that Iraq is unable or unwilling to cut production by 210,000 bpd. Ultimately, should Iraq prove to be a bottleneck to the deal, as happened shortly after the Algiers agreement in September, it is very unlikely that other OPEC (and non-OPEC) nations will stick to their reduced production quotas and the much anticipated "deal cheating" will quickly emerge. They will all cheat. That's what they do.